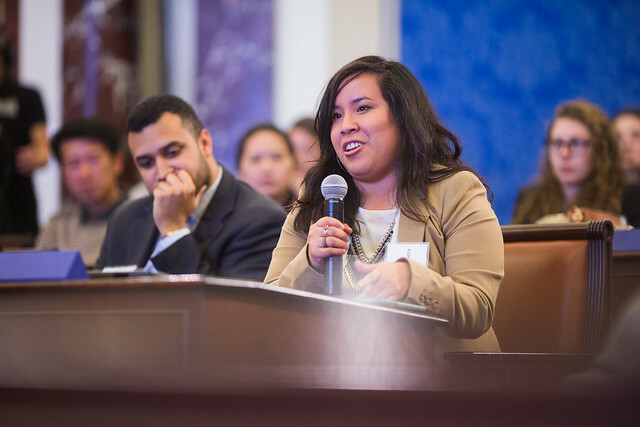 On May 2, 2016, the Edward M. Kennedy Institute for the United States Senate and the Henry M. Jackson Foundation convened a Youth Town Hall with millennial-aged adults ahead of the general election. During the program, Lauren Dezenski of POLITICO and Mike Deehan of WGBH led a discussion among the participants about the vision they have for their communities and the country, priorities they believe candidates should have, and their level of civic engagement. The program alternated between polling on tablets and live, unfiltered conversation. Please contact programs@emkinstitute.org for more information.